Tranquil Realty: New Cayman Brac Real Estate Listing! We are pleased to present our latest Cayman Brac real estate property. 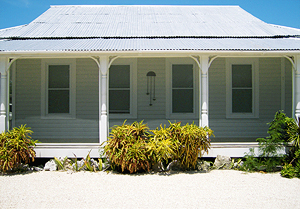 This is a charming and affordable 2 bedroom, 2 bathroom, Caymanian style home located in scenic Cayman Brac. Situated on a large .7 acre lot with a fully screened wrap around porch, this newly refurbished home offers plenty of space and privacy. Use our handy one-click Cayman Islands property search for more details about this and all other available Cayman Brac properties.